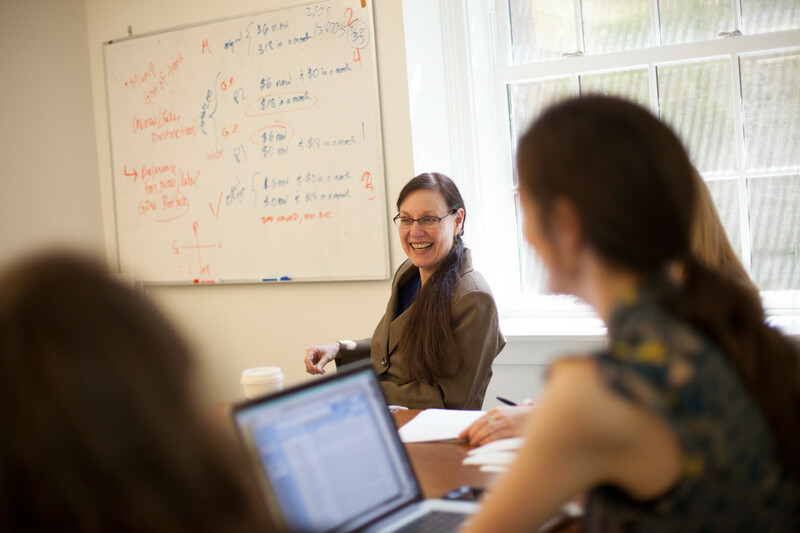 Cornell psychologist Valerie Reyna, along with co-investigator Valerie Hans from the Cornell Law School, has received a $390,000 grant from the National Science Foundation to better understand damage award decision-making. Juries are often at sea about award amounts, with widely differing outcomes for cases that seem comparable. To make sense of this process—and, ultimately, improve the process of juror decision-making—the grant builds on evidence-based scientific theory developed at Cornell. Reyna, professor of human development in the College of Human Ecology, said the research seeks to identify the causes of inconsistent jury awards and to test credible and cost-effective solutions that could reduce unwarranted inconsistency. Researchers will apply fuzzy-trace theory, believing that jurors often understand the gist of damages but have difficulty mapping verbatim numbers (dollar awards) onto that gist. Currently, jurors are provided with limited guidance by the legal system and are presented with injuries that are often difficult to value. For instance, Reyna said, how do we value the loss of a spouse, the pain of a severe physical injury, or the inability to hug a child? Researchers will evaluate the effectiveness of potential legal reforms—such as providing meaningful numbers as benchmarks and “scaling” instructions that place damages in perspective. Preliminary evidence suggests that such behavioral nudges can improve the process of translating a qualitative human injury into a quantitative monetary award. The grant was made by the NSF Law and Social Sciences Program, which supports interdisciplinary research proposals that promote a greater understanding of the connections between law and human behavior while advancing scientific theory. Posted in Features and tagged Cornell University, cornell university college of human ecology, damage awards, fuzzy trace, hans, human development, juries, law, national science foundation, nsf, psychology, reyna on September 17, 2015 by Allison M. Hermann, Ph.D..
Flip a coin, roll the dice, pick a number, throw a dart -- there is no shortage of metaphors for the perceived randomness of juries. That belief that "anything can happen," is applied to some extent to the whole jury model, but nowhere more so than on the topic of civil damages. When jurors are asked to supply a number, particularly on the categories that are intangible (like pain and suffering) or somewhat speculative (like lost earnings), the eventual number is sometimes treated as a kind of crapshoot. What's more, the process that the jury goes through to get to it is seen as a kind of black box: not well understood or necessarily subject to clear influence. What litigators might not know is that the subject of civil damages is a great example of social science research beginning to close the gap. Based on research within the last decade, we are coming closer to opening that black box in order to see a jury process -- albeit not fully predictable, but at least more knowable. The way jurors arrive at a number is increasingly capable of being described through the literature, and these descriptions have implications for the ad damnum requests made by plaintiffs and for the alternative amounts recommended by defendants. A study just out this year (Reyna et al., 2015), for example, provides support for a multistage model describing how jurors move from a story, to a general sense or 'gist' of damages, and then to a specific number. Their work shows that, while the use of a numerical suggestion -- an 'anchor' -- has a strong effect on the ultimate award amount, that effect is strongest when the anchor is meaningful. In other words, just about any number will have an effect on a jury, but a meaningful number -- one that provides a reference point that matters in the context of the case -- carries a stronger and more predictable effect. This post will share some of the results from the new study framed around some conclusions that civil litigators should take to heart. The research team, led by Cornell psychologists Valerie Reyna and Valerie Hans, begins with the observation that "jurors are often at sea about the amounts that should be awarded, with widely differing awards for cases that seem comparable." They cover a number of familiar reasons for that: limited guidance from the instructions; categories that are vague or subjective; judgments that depend on broad estimations, if not outright speculation; and a scale that begins at zero but, theoretically at least, ends in infinity. Add to that the problem that jurors often have limited numerical competence (low "numeracy") or an aversion to detailed thinking (low "need for cognition"). All of that means that there isn't, and will never be, a precise and predictable logic to a jury's damages award. But it doesn't mean that they're picking a number out of a hat either. Research is increasingly pointing toward the route jurors take in moving to the numbers. That breakdown of steps is backed up by the research reviewed in the article, but it isn't just useful for scholars. Watch mock trial deliberations and you are likely to see jurors moving through that general sequence. Knowing that jurors are going to implicitly or explicitly settle on a 'gist' (large, small, or in between) before translating that into a specific number is also helpful to litigators in providing the reminder 'speak to the gist' as well as to the ultimate number. The model also points out the advantages of giving jurors guidance on a number. Research supports the view that it is a good idea to try to anchor jurors' awards by providing a number. Suggesting a higher number generally leads to a higher award, and vice versa. Reyna and colleagues found that even the mention of an arbitrary dollar amounts (the cost of courthouse repairs) influences the size of awards. But the central finding of the study is that it helps even more if the dollar amount isn't arbitrary. "Providing meaningful reference points for award amounts, as opposed to only providing arbitrary anchors," the team concludes, "had a larger and more consistent effect on judgments." Not only are the ultimate awards closer to the meaningful anchor, but they are also more predictable, being more tightly clustered around the anchor when that anchor is meaningful and not arbitrary. Of course, the notion of what is "meaningful" might carry just as much vagueness as the damages category itself, and the research team is not fully explicit on what makes a number meaningful in a trial context. That might be a fitting question for the next study, but in the meantime, the team gives at least some guidance. To Reyna et al., recommended amounts are "meaningful in the sense that their magnitude is understood as appropriate in the context of that case." In the study, the "meaningful" anchor was that one that expressed a pain and suffering amount as being either higher or lower than one year's income. That's not a perfect parallel -- one is payment for work, the other is recompense for suffering -- but it does reference something that the jury is used to thinking about and using as a rough way of valuing time. By nature, meaningful anchors will vary from case to case, but there are a few general numbers that could be used as a reference point, like median annual salary; daily, weekly, or monthly profits; or remediation costs. Of course, those are well-known devices that attorneys will regularly apply. Still, it is good to know that, at a preliminary level at least, they have the social science stamp of approval. Those kinds of anchors and reference points work because they give jurors a way to get a gist of the claimed damages, and a way to bring abstract numbers into the jurors' own mental universe. Copyright Holland & Hart LLP 1995-2015. Posted in Articles on the Web and tagged Cornell University, cornell university college of human ecology, department of human development, FTT, Fuzzy-Trace Theory, hans, jury awards, reyna on September 17, 2015 by Allison M. Hermann, Ph.D..
Posted in Multimedia and tagged Cornell University, cornell university college of human ecology, department of human development, fMRI, Human Neuroscience Institute, MRI, reyna on September 17, 2015 by Allison M. Hermann, Ph.D..